Amal Hussein, the seven-year-old emaciated Yemeni girl whose harrowing portrait drew the world’s attention to the largely overlooked humanitarian catastrophe unfolding in Yemen, died from acute malnutrition on November 1 in a camp for the internally displaced. In her displacement, her illness, her hunger, and her tragic death, Amal embodies the perpetual suffering of Yemenis through a vicious conflict now entering its fourth year. Out of that conflict – in which civilians are regularly targeted, humanitarian aid strategically blocked, health care facilities attacked, and starvation deployed as a weapon – has grown the world’s worst humanitarian crisis. Today, 22 million Yemenis (75 percent of the total population) are in desperate need of humanitarian aid; 8.4 million do not know where their next meal will come from; and 400,000 children are suffering from severe acute malnutrition – the condition that took Amal’s life. Yemen is effectively on the brink of a massive famine. Its economy is crumbling. Its infrastructure is in tatters. Its health care system has all but collapsed. This state of affairs is not an arbitrary consequence of war. It is the direct result of how the conflict has been prosecuted by warring parties: with utter disregard for international rules and norms. 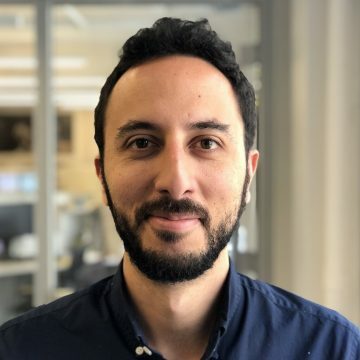 In fact, the parties to the conflict in Yemen – particularly the Saudi-UAE coalition – have waged their war with a practical cruelty that seems designed to obliterate Yemenis’ capacity to survive. Eleven people were killed and more than 19 wounded in an airstrike on this hospital operated by Doctors Without Borders in Abs, Yemen, in August 2016. Physicians for Human Rights (PHR) has been documenting one facet of this brutal logic of war: the targeting of health care facilities or the failure to take appropriate measures to shield them from attacks. Over the past year, PHR has independently confirmed more than 23 individual attacks on health facilities. Hospitals and clinics have been bombarded, shelled, overrun, and put out of service. 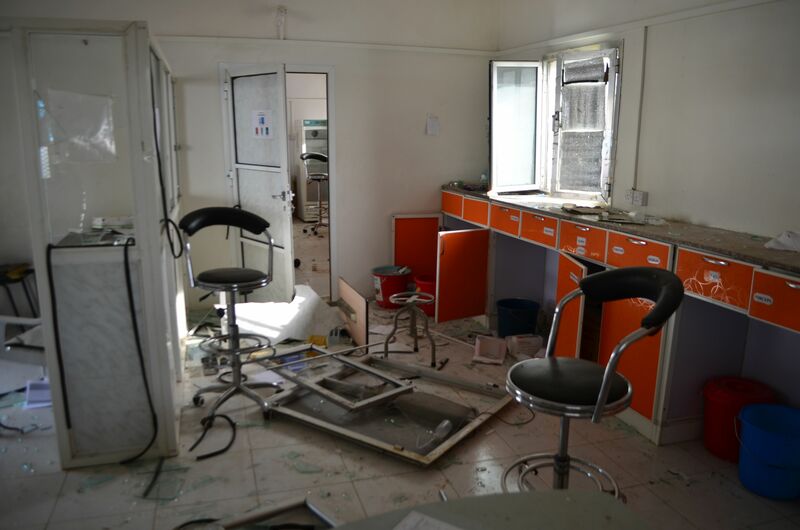 A recent attack by the Saudi-led coalition destroyed a clearly demarcated Doctors without Borders clinic in Abs on June 11. More recently, on October 11, a hospital in ad-Durayhimi reportedly sustained heavy damage from airstrikes. In the context of an extremely vulnerable population and a health care system already reeling under the weight of the conflict, the consequences of such purposeful attacks on public health cannot be overstated. The unthinkable proportions of the cholera outbreak affecting an estimated 1.16 million Yemenis is a case in point. Despite cholera being a treatable disease, thousands of people have already succumbed to the illness, nearly a third of whom were children. PHR has repeatedly called for a concerted international effort to halt attacks on civilians, has urged countries providing arms to the belligerents to make every effort to ensure that these are not used against civilians and civilian infrastructure, and has pushed for independent investigations into gross violations of international humanitarian law and human rights. However, as the conflict deepened and the resultant humanitarian disaster expanded, such calls by PHR and others rang mostly hollow, especially with Western policymakers largely supportive of the Saudi-led coalition. The horrifying murder of journalist Jamal Khashoggi, apparently by Saudi agents, appears to have forced the gaze of the world and that of policymakers toward the misdeeds of Saudi Arabia and, by association, toward the plight of the Yemeni people. Days before her death, Amal was discharged from the hospital where she was receiving treatment to make room for other patients. It is devastatingly telling that a child dying from starvation should be sent home by a health care system that has been rendered utterly powerless in tending to her needs. Amal’s death encapsulates the tragedy that has become Yemen today. It also a harbinger of the fate that will befall the Yemeni people should the current opportunity to shift the course of the conflict be squandered. We in the human rights community and beyond must keep pushing to bring this grinding conflict to an end. However, so long as it endures, the priority should be on the immediate halt of attacks on civilians and civilian infrastructure by all parties to the conflict. We should maintain the pressure on countries that have so far supported the Saudi-UAE coalition with arms, intelligence, and logistics – including the United States. These members of the international community must assume their share of the responsibility for the crisis – something that is already materializing within U.S. policymaking circles – and work on ensuring the compliance of all parties to the conflict with international humanitarian law. We need to keep supporting independent investigations of violations of international humanitarian law in pursuit of accountability for the egregious crimes that have been committed against civilians over the course of the conflict. Lastly, we must sustain our collective call for the unhindered entry and provision of humanitarian aid. It is high time the world begins treating this crisis with the gravity it has required for so long. Top photo: A nurse tends to a two-year-old boy suffering from malnutrition in Abs, Yemen in September, 2018. Photo: Getty Images.